Recover and store Line21 caption and XDS data (on your PC or other computer) from video fields 1 and/or 2. Display Captions with or without black box background. 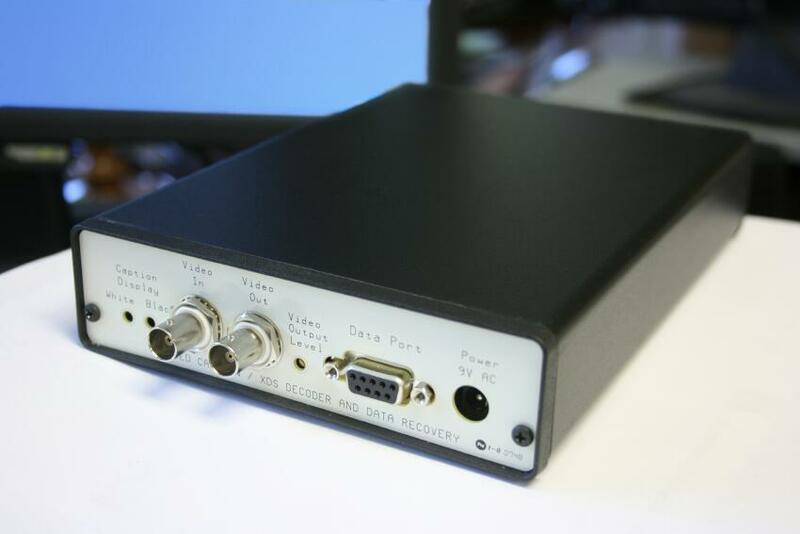 Composite NTSC video input/output (BNC type connectors). 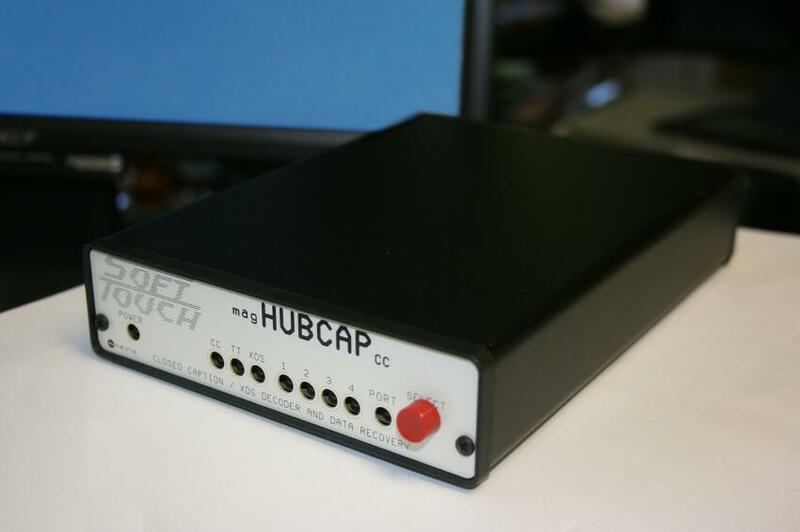 RS-232 DB9 (9600 baud, 8 data, 1 stop) serial port for control of the MagHUBCAPcc from the supplied software, or the user can write his own caption data recovery software. Can be used as a Broadcast Quality Caption Character generator. External adjustments for Video Gain, Caption White Level, and Caption Black Level. Large selector button to cycle the MagHUBCAPcc through its various operating modes. Nine LEDs to indicate status and current operating mode. Internal Dipswitch to customize the default operation. Any of the data encoded in Line 21 can be extracted and transmitted out the serial port to an interconnected computer. This computer can then store the data in a file which can be later accessed for any number of applications. This feature is ideally suited to the hearing impaired who wish to review transcripts of programs they have viewed for better understanding, to researchers who wish to analyze various programs, and to broadcasters who wish to verify the captions and data they are transmitting on Line 21. The MagHubcap can be used to displayed any program rating information that is in the video, along with Text 2 data. Video Out BNC connector providing unity gain output (75 ohms). Data DB-9Female (configured as DCE - straight data cable connection to PC). Stand-alone Unit: 7½ " by 5½ " by 1½ "